How long do you intend to brush your teeth? Probably the rest of your life, right? 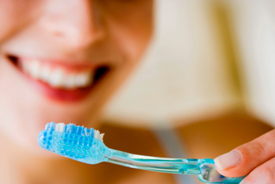 How long do you intend to brush your teeth? Probably the rest of your life, right? How come that after brushing your teeth yesterday, youll likely brush your teeth today, tomorrow and next week? Its a habit youve developed. One of the good, healthy habits. Maybe you like how your mouth feels after brushing. Or you want to avoid painful visits to your dentist. Or you want to prevent the social stigma of bad breath. Even with this daily maintenance and prevention youll probably visit your dentist from time to time. Yet no one ever observes, Once you go to a dentist, you have to go for the rest of your life. This issue is often raised by those who dont understand the preventive nature of Chiropractic. Chiropractors are committed to detecting and reducing the effects of physical, emotional and chemical stresses to your spine and nervous system. For as long as you experience them. Which for most of us, will be for the rest of our lives!